Robert B. Burns - Burns Anderson Jury & Brenner, L.L.P. Bob Burns brought twenty years of experience and leadership with him when he co-founded BAJB. His background in the oil fields, driving 18-wheelers and structural engineering led him to representing trucking and railroad companies early in his law career. His hard work, preparedness, and a practical thinking style, combined with a courteous manner, soon won him the lasting trust and respect of his clients, the hard working men and women involved in the cases, and even his adversaries. Bob’s concentration is representing railroads in a broad scope of administrative and litigation work, much of which involves complex questions of the federal law governing railroads. He also represents clients before various state agencies and insureds in tort claims, and insurance carriers in first-party claims, both at trial and appellate levels. Union Pacific. R. R. Co. v. Nami, 498 S.W. 3d 890 (Tex., 2016), cert. denied, 137 S. Ct. 2118 (2017) reversed and rendered in favor of Union Pacific. Railroad employee filed a complaint under the Federal Employers’ Liability Act (FELA) against employer for failing to provide him with a safe workplace, after he contracted West Nile virus and encephalitis from mosquitoes. The trial court entered judgment on jury verdict that found both employer and employee negligent, and apportioned 80% of the responsibility to employer and 20% to employee. Court affirmed trials court’s judgment. Texas Supreme Court granted review and held in an 8-1 opinion that the doctrine of ferae naturae a property owner (here the railroad) is not liable for harm from indigenous animals that the owner has not attracted to the property. Griffin v. Union Pac. R. Co., No. 04-12-00824-CV, 2014 WL 1494605 (Tex. App. Apr. 16, 2014) Court affirmed trial court’s take-nothing judgment entered in this personal injury lawsuit arising from a crossbuck crossing collision involving an automobile and train, finding that the trial court did not abuse its discretion in denying a challenge for cause as to one vinereperson. Court affirmed trial court’s granting of railroad’s summary judgment in grade crossing fatality suit, holding as a matter of law that crossing was not extra-hazardous and that there was no evidence train crew improperly sounded horn. Court reversed and rendered take nothing judgment, holding trial court had abused its discretion in admitting opinions of plaintiffs’ experts. Appellate Court reformed and reduced excessive ad litem fee award by trial court. Court denied plaintiffs’ motion to remand their wrongful death action to state court. Affirmed judgment of District Court, which held that the state rail safety regulation requiring walkways to be installed on each side of yard railroad tracks was preempted. The court held that the state rail safety regulation requiring walkways to be installed on each side of yard railroad tracks was preempted by federal regulatory occupation of the subject matter permanently enjoining enforcement of the state statute. The court granted appellant railroad’s application for a writ of mandamus to respondent judge, finding that the county court at law had jurisdiction over the condemnation action. Writ of error granted and summary judgment for defendant reversed because genuine issues of fact existed with respect to contractual retention of a right of control. The court affirmed the decision of the district court, which found a Texas railroad administrative regulation requiring, under specified circumstances, that all trains have a manned caboose, was preempted by federal law. District Court held federal law preempted state law requiring caboose on trains. District Court granted summary judgment in favor of railroads, holding several Texas Railroad Commission rules were preempted by federal law. District Court granted Defendant’s Motion to Dismiss for want of jurisdiction in Plaintiff’s claim for property loss and damage. The court affirmed the trial court’s dismissal of the suit by appellants, state regulators, challenging railroad deregulation statute. The court ruled that the statute was a valid exercise of the commerce power. The court reversed the lower courts’ judgments, which had granted summary judgment in favor of respondent railroad in petitioner driver’s negligence action for damages sustained in a railroad crossing collision. Even if respondent was not legally required to install signal lights, the fact that it had undertaken to install such lights created a duty to maintain the lights in working order. The court affirmed the summary judgment rendered by the trial court in favor of defendant railway company in plaintiff driver’s action for injuries sustained in an automobile-train collision at defendant’s railway crossing. The judgment affirming the order of the Savings and Loan Commissioner of Texas granting a branch office to appellee applicant, a savings and loan association, was affirmed. The court reversed the decision of the lower court requiring appellant railroad to reestablish and maintain a railroad track to serve local industry. Supreme Court reversed appellate court, reinstating Commission approval for new savings and loan branch office. Appellate court held all municipal historical landmark ordinances were unconstitutional. The court affirmed the judgment that dismissed appellant savings and loan’s action for lack of jurisdiction, but remanded to provide appellant with another opportunity to properly plead extrinsic fraud. Author and Speaker: “Keeping Ahead with TOES,” National Association of Railroad Trial Counsel, Fall 2015. Author and Speaker: “Railroad Liability for Trespasser Injuries,” National Association of Railroad Trial Counsel, 2013. Speaker: “Ballast Claims: The Rock and Roll of FELA,” National Association of Railroad Trial Counsel, 2011. Author and Speaker: “Aggressive Crossing Case Handling: The Necessity and Benefits of Immediate and Aggressive Investigation,” Union Pacific Railroad Company Claims Meeting, 2011. Speaker: “Are We Losing Our Footing? Current Defenses of the FELA Ballast Related Claim,” National Association of Railroad Trial Counsel, 2010. Speaker: “Opening Statements,” National Association of Railroad Trial Counsel Academy, 2010. Speaker: “Aggressive Crossing Case Handling—The Necessity and Benefits of Immediate Attorney Involvement and Investigation,” National Railroad Passenger Corporation Directors/Managers Meeting, 2009. Speaker: “Defending Private Crossing Litigation,” National Association of Railroad Trial Counsel, 2008. Author and Speaker: “Private Crossing Issues,” The Burlington and Northern Santa Fe Railway Litigation Conference, 2007. Speaker: “Recent FRA Hearing Conservation Regulations,” National Association of Railroad Trial Counsel, 2006. Speaker: “Going Loco Over Remote Control – RCL Operations and Issues,” National Association of Railroad Trial Counsel, 2005. Speaker: “Appeal Update, Union Pacific v. Navarro, reversed and rendered,” The Burlington and Northern Santa Fe Claims Conference, 2002. Author and Speaker: “The Eagle Pass Declaratory Judgment Regarding Blocked Crossings,” Texas Assoc. of Railroad Trial Counsel, 2002. Author and Speaker: “Effect of Compliance with or Violation of CFR on Strict Liability in FELA Cases,” Texas Assoc. of Railroad Trial Counsel, 2001. 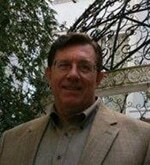 Author and Speaker: “Diesel Fume Inhalation and the Claim of Cancer,” Texas Assoc. of Railroad Trial Counsel, 2000. Speaker: “Legal Issues and Investigation in FELA and Grade Crossing Cases,” American Shortline and Regional Railroad Assoc., 1999. Author and Speaker: “Unusual Problems in Handling FELA Cases,” Texas Assoc. of Railroad Trial Counsel, 1999. Speaker: “Panel Review of Plaintiff Experts in Railroad Crossing Cases,” National Assoc. of Railroad Trial Counsel, 1998. Author and Speaker: “Compliance with Code of Federal Regulations as Basis for Summary Judgment in FELA Cases,” Texas Assoc. of Railroad Trail Counsel, 1998. Speaker: “The Hip Bone’s Connected to the Thigh Bone: Jury Charge Preparation, Conference and Preservation of Error,” Masters in Litigation Trial Tactics, Travis County Bar Assoc., 1997. Speaker: “Understanding and Preventing Bad Faith Claims,” Texas Catastrophic Property Insurance Assoc. and the Government Employees Insurance Co., 1997. Speaker: “Automobile Mock Trial and Case Evaluation,” Government Employees Insurance Co., 1996. Author and Speaker: “Violations of CFRs as Negligence per se,” Texas Assoc. of Railroad Trial Counsel, 1996. Author and Speaker: “Know Your Enemy: a Profile of the Current Crop of Plaintiffs’ Experts,” Texas Assoc. of Railroad Trial Counsel, 1995. Author and Speaker: “Drawbars Revisited,” Texas Assoc. of Railroad Trial Counsel, 1994. Author and Speaker: “FELA Mental Trauma – An Update on Buell v. Santa Fe,” Texas Assoc. of Railroad Trial Counsel, 1989. Author and Speaker: “Federal Preemption of State Railroad Regulation,” Texas Assoc. of Railroad Trial Counsel, 1987. Author and Speaker: Panel Discussion, “Recent Developments in Railroad Law,” Texas Assoc. of Railroad Trial Counsel, 1986. Author and Speaker: “Summary Judgments in Railroad Grade Crossing Cases,” Texas Assoc. of Railroad Trial Counsel, 1980. Partner, Burns Anderson Jury & Brenner, 1997 to present.